1 Night accommodation in Deluxe Hotel in Sonamarg with breakfast & dinner on twin sharing basis. 1 Night accommodation in Srinagar Hotel/ Houseboats with breakfast & dinner on twin sharing basis. Neelgrath (near Baltal) Panchtarni Neelgrath by Helicopter. Airport Transfer by car with English speaking driver. All arrival, departure, sightseeing's as per above itinerary by car with English speaking driver. 2 Nights accommodation in Deluxe Hotel in Sonamarg with breakfast & dinner on twin sharing basis. 2 Nights accommodation in Srinagar, Hotel / Houseboat with breakfast & dinner on twin sharing basis. Car Including: Fuel, Parking, Road tax, Toll tax, State taxes and Driver Expenses. 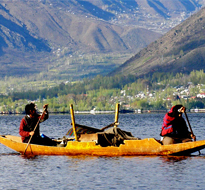 Shikara Tour in Dal Lake. + All applicable hotel & transport taxes. 3 Nights accommodation in Sriangar, Hotel / Houseboat with breakfast & dinner on twin sharing basis. 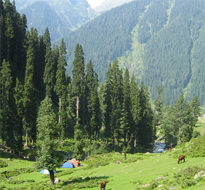 1 Nights accommodation in Deluxe Hotel in Sonamarg with breakfast & dinner on twin sharing basis. 3 Nights accommodation in Srinagar Hotel / Houseboat with breakfast & dinner on twin sharing basis. 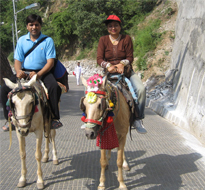 2 Nights accommodation in Hotel in Pahalgam with breakfast & dinner on twin sharing basis. Pickup and Drop Srinagar Airport 2 Nights accommodation in Hotel in Pahalgam with breakfast & dinner on twin sharing basis. 1 Night accommodation in Hotel / Houseboat with breakfast & dinner on twin sharing basis. 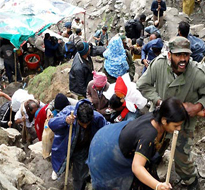 Helicopter Tickets for ( Pahalgam Helipad Panchtarni- Panchtarni - Pahalgam Helipad ) All arrival, departure, sightseeing's as per above itinerary by car with English speaking driver. Sikara Ride on Dal Lake Car Including: Fuel, Parking, Road tax, Toll tax, State taxes and Driver Expenses. All applicable hotel & transport taxes. 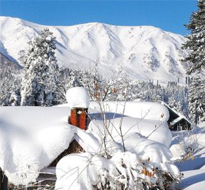 2 Nights accommodation in Hotel Pahalgam with breakfast & dinner on twin sharing basis. 1 Night accommodation in Hotel / Houseboat with breakfast & dinner on twin sharing basis. At the time of booking we require following details: Full Name and Gender of all passenger. Full address and phone no. of all families. CANCELLATION POLICY: 10% cancellation charges if cancelled before 15 days before the tour. 25% cancellation charges if cancelled within a 10 days before the tour. 50% cancellation charges if cancelled within a 05 days before the tour. Trust you may find all above is clear. 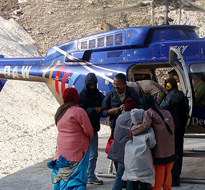 Accommodation & Heli ticket are subject to availability at the time of reservation. The above rates are net & non commissionable. Gst 3.09% will be additional in Invoice.